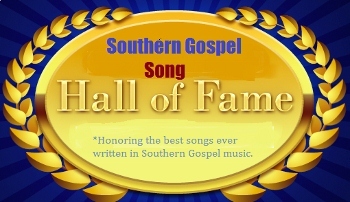 It is time for me to honor another of Southern Gospel’s greatest compositions by placing it into the Southern Gospel song hall of fame. Today’s inductee dates back to 1937, or that is at least when the song was published. “I Never Shall Forget The Day” was written by George Speer, patriarch of the Speer Family. The earliest recording of the song, on LP, was 1958 on the Speer Family’s Skylite recording, Golden Anniversary. “I Never Shall Forget The Day” has become a Southern Gospel classic and became a major live concert song for the Hinsons in the 1970’s. The version I remember best is the one with the later Speer Family with Sue Chenault Dodge singing the lead. Always loved this song. Here’s a YouTube link with Sue Chenault Dodge singing with the Speers for their 70th anniversary special. I love the Speers version with Sue Dodge and the Hinsons. I love how they’re very different but equally great! Kinda like how the Goodman’s and Teddy Huffman had completely different great versions of Wait Till You See My Brand New Home. I’m not seeing that kinda originality these days in SG. I like the Hinsons version better simply because it had so much energy and anointing like all their songs. They were ministers not entertainers, like when I first heard Southern Gospel live with the Hemphills. It was so different and great. I thought I had heard it all before but knew I hadn’t, I found out later it was my spirit identifying with them .